You don't need a 4x4 SUV to have fun in the snow: Here is proof! You don’t need a 4×4 SUV to have fun in the snow: Here is proof! The Northern parts of India have some treacherous routes that open up to beautiful destinations. 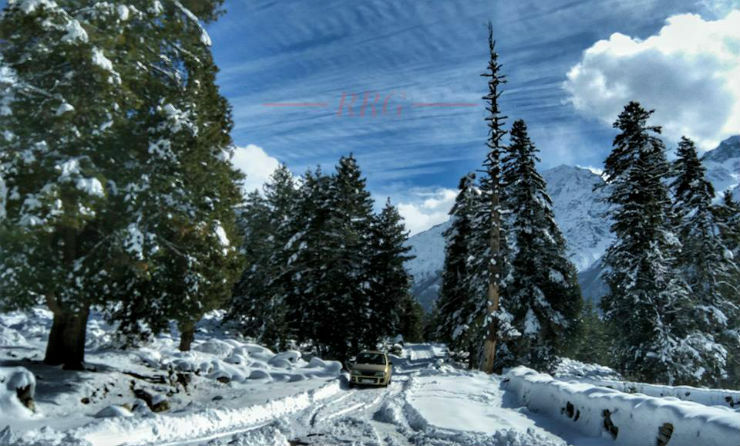 However, most people stay away from it because they believe that only a 4X4 vehicle will be able to take them across snow and bad routes. A car is as capable as the person on the driver’s seat. 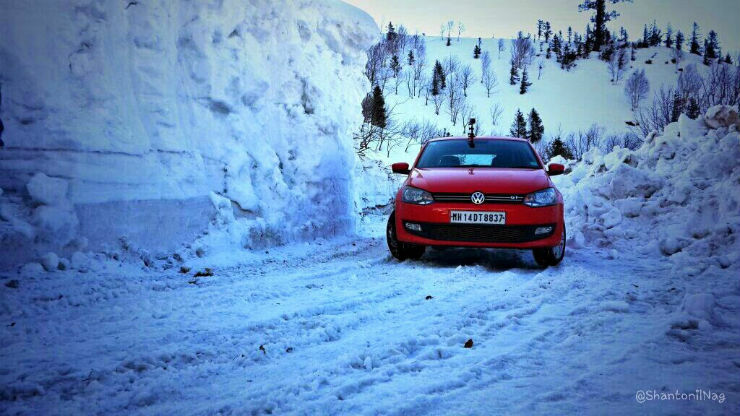 Any car, be it a 4X4 or a regular 4X2 hatchback, can go over snow without much problem. Here are five examples that will show you just that. The Alto has remained one of the most popular vehicles on the market since its inception. The most affordable vehicle from Maruti sells in loads every month and in the mountain regions, there are plenty of Alto cars. 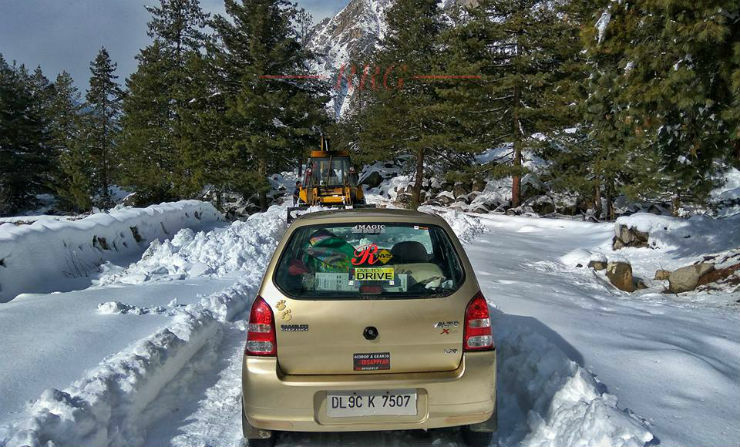 The car seen here is driven from Delhi to Chitkul, which is the last Indian village. 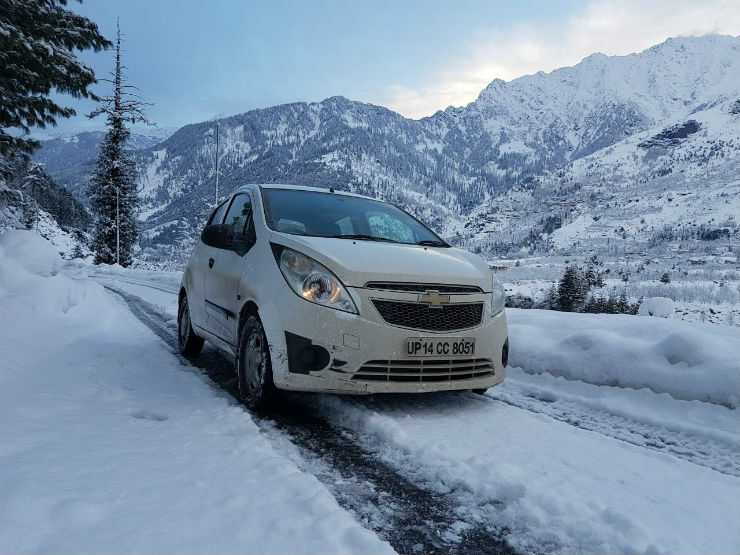 The car has been driven around in heavy snow and pictures seen here are proof that front-wheel-drive Alto performs quite well in snow. The now-defunct manufacturers, Chevrolet offered a range of vehicles in India including the Beat hatchback. The car seen here is a diesel version, which means there is a good amount of usable torque in the lower engine RPM. The picture has been taken on the Manali-Sarchu highway, which goes on till Leh. The front-heavy heavy Beat does an excellent job on the slippery roads. No snow chains have been used in the picture and road is coated with black ice, which froze overnight. This is the Volkswagen Polo GT TSI variant. This picture is a proof that even 4X2 automatic vehicles can very well go into the snow-clad roads without getting stuck. The Volkswagen Polo GT TSI is powered by a turbocharged petrol engine and gets a 7-speed dual-clutch DSG transmission. There are no off-road modes available in the Polo, which means that the driver has to completely rely on brake and pedal to safely control the vehicle on the slippery surfaces. The Polo GT TSI allows the driver to manually choose the gear, which provides a better control. The Tata Nano is famed for its affordable price tag. The small little car is quite capable but is tricky to drive on the slippery surfaces due to its rear-mounted engine and rear wheel drive. However, these pictures show that the Nano can be very effective on slippery surfaces with the right person controlling the wheel. Now, this video shows local people having pure fun in the fresh snowfall. 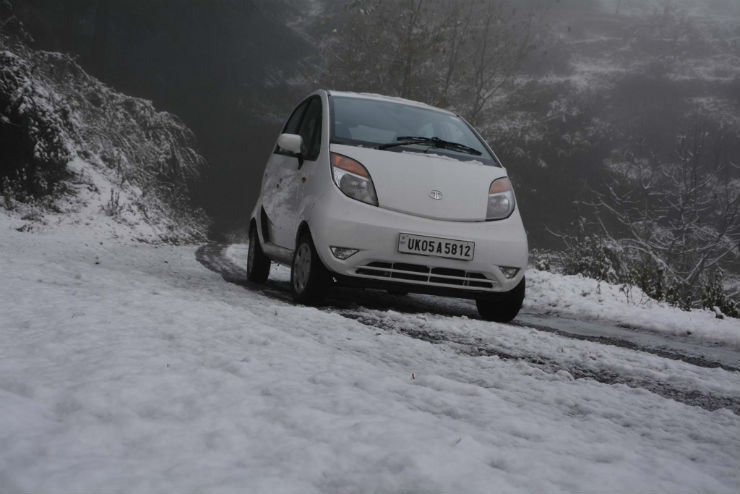 This video comes from the Shimla part of the Himalayas and shows an Alto making hand-brake turns. If one has good control over the vehicle, pulling this stunt is quite easy when the surface is slippery. How to effectively drive in snow? Always remember, it is easier to drive on fresh snow than older snow. Older snow becomes hard and slippery. Be gentle on the throttle and brake. Never accelerate or brake suddenly on snow. Be gentle on the steering wheel, sudden movements can throw you out of control. Always use engine braking while coming downhill in the snow. It gives you greater control over the wheels. If the snowfall becomes heavy, it is always a good idea to park and wait for the snowfall to subsidise. Always carry enough food and water supplies while venturing out in the snow. You may get stuck and it may take a few hours till the help arrives. 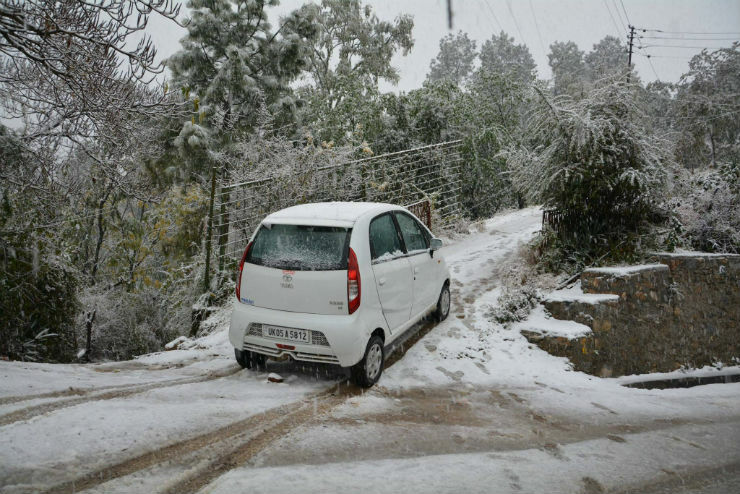 While it becomes very easy in a 4X4 vehicle to drive on slippery surfaces, the 4X2 humble hatchbacks can do it too but requires better skills.